Cooler Master has a brace of PC enthusiast launches today; a new mouse and newly formulated thermal paste. 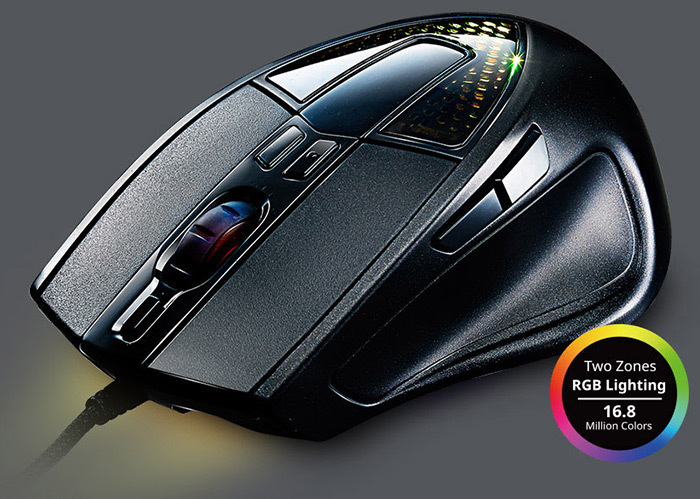 The mouse is the Cooler Master Sentinel III which features ergonomic styling, is aimed at FPS players, and sports a customisable OLED display. Cooler Master's latest thermal compound is called MasterGel Maker and features Nano Diamond particles. This is a larger ergonomic 'palm grip' mouse aimed at FPS games players. 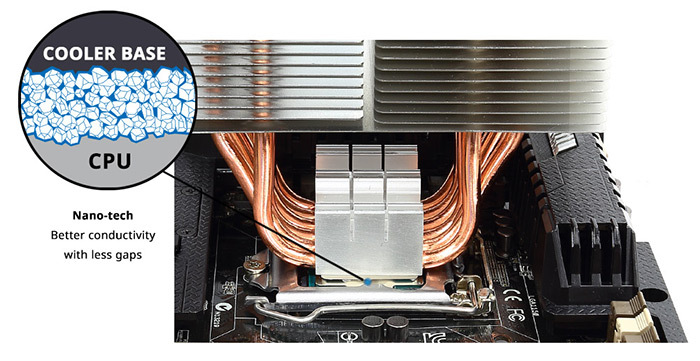 Inside the Sentinel III Cooler Master has equipped an improved sensor, 32-bit ARM processor, and 512KB on-board memory. The sensor is an Avago 3988 model which features zero hardware acceleration and offers precise movement tracking. Storm TactiX allows users to program any button with a secondary function and the on-board memory can let you take your settings and macros wherever you go. Eight high quality buttons are rated for 20 million clicks. 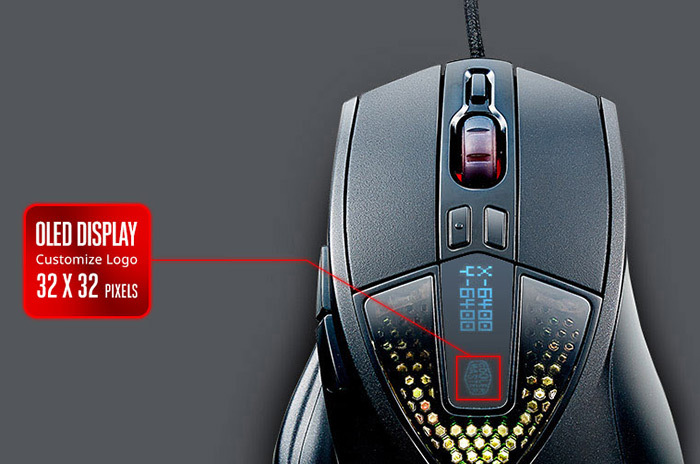 The mouse boasts a matte UV coating which Cooler Master says "won't peel, wear off, or tarnish". It offers full colour (16.8 million colours) illumination across two independent areas (headlights and mouse top). Interestingly Cooler Master has equipped an OLED display which, sat back from the scroll wheel, shows DPI settings (400 / 1200 / 4000 / 6400) and a custom logo of your choice. The Cooler Master Sentinell III weighs 155g with 22.5g in five weights to add/remove by the user. It measures 135(L) x 83.6(W) x 40(H) mm and the braided cable provided is 1.8m long. MSRP inc VAT is £39.99 and it will become available mid-December. Cooler Master thinks users will benefit from its MasterGel applied to their CPU, GPU or even motherboard chipsets. 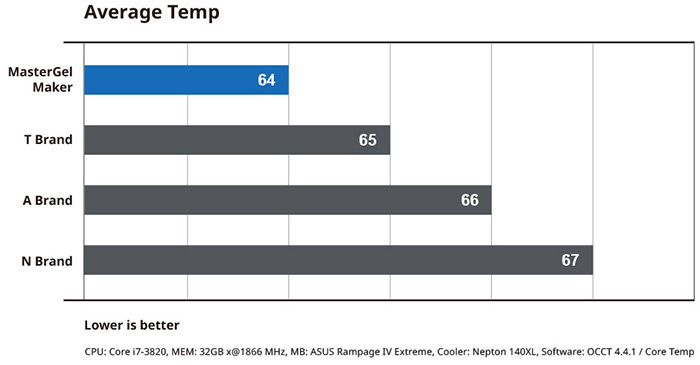 Backing up its claims Cooler Master has provided a performance graph, as embedded below. This Nano Diamond infused thermal gel has an MSRP of £9.99 inc VAT. Availability is scheduled for mid-December. “Less gaps” = “Fewer gaps”! That mouse seems keenly priced - a review would be interesting. It does look a little cheap, and the screens are fairly pointless. Nice it allows you to store settings and macros in the mouse, the screen is a tad gimmicky though. i have the sentinel 2 mouse, have had to rma once (right mouse button stopped working) and it's now out of warranty so I've been trying to fix it again (the center mouse button broke). good they are mentioning the matte coating (it rubbed off on the sentinel 2 over time). I'm rather curious about temperature numbers from that Nano Diamond paste. Would be excellent to have a thermal paste comparison later, updated with the latest from various brands.